Flood Brothers Disposal present The Skinny & Houli Show and as Thanksgiving draws near we turn to our old friend Peter Fasano to talk pie. Pete’s grandfather started Pies by Fasano on the south side many years ago, and the tradition continues today with over 20 flavors of pies prepared and delivered all over Chicagoland. 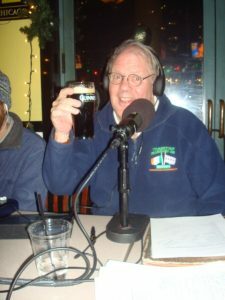 Pete’s daughter Maureen joins him tonight on the show and we sample the blueberry, (out of this world! ), and talk pies, pies, pies. This show will make you hungry! Visit HERE to order you pies!